You know you’ve got enough love for a dog. In this article, we go into detail about the Labrador puppy price and identify the average price range. We’ll discuss how coat color can influence the Lab puppy cost. 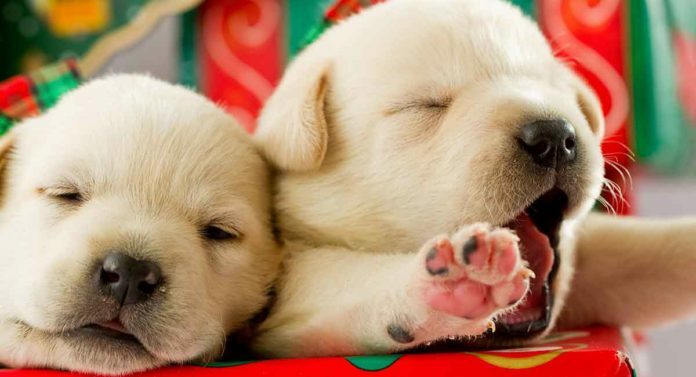 And we’ve got tips about how to find the healthiest possible Labrador puppy. The cost of a Labrador puppy can vary depending on a number of factors. Perhaps the most influential factor is who you buy your Lab puppy from. Different breeders can have different priorities in breeding and raising Labrador puppies. Today, the average cost of a Labrador puppy can range from $800 to $1,200 in the United States and £650 to £850 in the U.K. Especially if the Lab puppy you want to purchase comes from a championship bloodline. There is often a huge difference between what a puppy mill and a reputable health-conscious Labrador breeder will charge for a Lab puppy. For example, a puppy mill that is just hoping to turn a quick profit won’t spend money on the best Lab puppy food or do health testing on the Lab parents before breeding. In contrast, a reputable Lab breeder who who genuinely cares about the dogs being bred will do both and much more. This can drive up the cost of breeding a litter of puppies quite a bit. 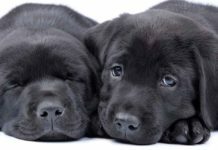 So if you compare how much is a Labrador puppy from a puppy mill and a reputable breeder, you will see right away that there is a big difference in the asking price for a puppy. If you find a Labrador puppy for a price that seems too good to be true, it probably is. You may want to look deeper before you commit your heart and your wallet to take care of that puppy for a decade or longer. Variations in Labrador Retriever puppy prices can also depend on a Lab puppy’s coat color. There are three main coat colors for Labrador Retrievers: the black Labrador, the chocolate brown Labrador, and the yellow Labrador. There is also a fourth color that is newly popular, which is the silver Labrador. For many years, the black Labrador was considered the best coat color and everyone wanted a black Labrador. During these years, the black Labrador puppy price was often higher than the price for a yellow Lab or a chocolate Lab. 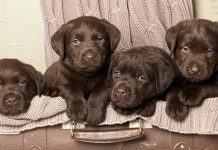 Today, you may still find that Labrador dog black puppy price is higher than the other three standard coat colors, which include yellow or chocolate brown. However, as interest in silver Labs grows, at the time of writing demand is outstripping supply. 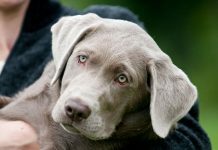 So right now, you might find that silver Lab puppy price is higher than you would pay for the standard Labrador puppy with a coat color of black, chocolate brown or yellow. Of course, these coat color trends can quickly change. 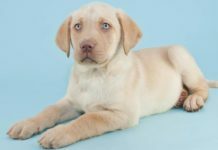 What you want to look for more than anything else, including coat color, is a reputable and responsible breeder who will sell you a healthy Labrador puppy. 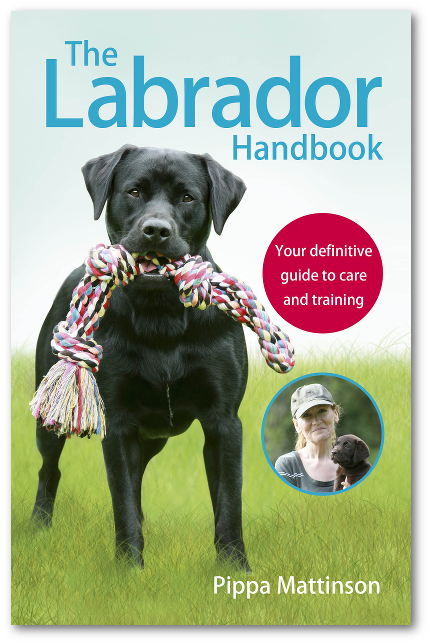 If you are just learning about the history and lineage of Labrador Retriever dogs, you might not know that there are actually two types of purebred Labradors. The two types are the American (or working) Labrador and the English (or show) Labrador. The American Labrador dog is the most common pet Lab type and also the most common choice for a working Labrador. The English Labrador dog is the most common choice for owners who want to breed or show Labradors. The two types of Labradors can differ quite a bit in everything from body size and overall conformation to temperament and personality. Do you want to participate in working dog athletic events such as dock diving or you want to go hunting with your Lab? Then you will likely want to purchase and train an American Labrador. In contrast, if you dream of standing in the show ring with a champion Labrador, you will likely be searching for an English Lab puppy to purchase and train. Today the Labrador Retriever is such a popular dog breed. But the gene pool today for purebred Labradors is somewhat limited. So it is vital to ensure your new Labrador puppy has been bred from parent dogs who are as unrelated as possible. 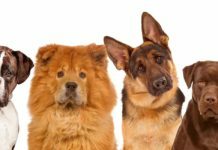 They should also be health tested for known serious breed-specific health disorders. Lab puppies can face a number of heritable (genetic) health issues. Another newer serious concern is called exercise induced collapse (EIC). If you purchase your new Lab puppy from a health-conscious dog breeder, you may wonder why your new puppy is so expensive. The answer is simple: Your breeder has to calculate the costs of preventative screening and health testing into how much is a Labrador puppy from their kennel. Hip dysplasia is an abnormality in how your Lab’s hip bones grow. A Lab with hip dysplasia will have a hip bone that doesn’t fit properly into its pelvic socket. This can cause a lot of pain and dysfunction, including lameness. Lab puppies will start to show signs of hip dysplasia when they are around 6 months old. In very mild cases, your Lab may not display any symptoms of hip dysplasia until well into adulthood. Hip dysplasia is a condition that can be passed along from parent dog to puppy. 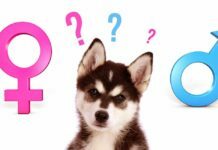 So it is vital to do health testing on the parent dogs before breeding to reduce the risk that a puppy will inherit hip dysplasia. These health tests are not cheap, however. Current posted health testing prices (as of the time frame when this article was written) are $35 per parent. Elbow dysplasia, as the name suggests, is an abnormality in how the bones and cartilage of the elbow joint grow and fit together. Like hip dysplasia, elbow dysplasia is a congenital condition, which means it can be passed along from parent dog to puppy. As with hip dysplasia, symptoms of elbow dysplasia may not begin to appear until a puppy is 6 months or older. In mild cases, the warning signs may not show up until your dog is well into adulthood. Reputable, responsible Labrador breeders will spend around $35 per parent to test for elbow dysplasia. Purebred Labrador retrievers can suffer from a variety of congenital, or inherited, eye disorders. The most serious of these is called progressive retinal atrophy (PRA). PRA is a congenital eye issue that can eventually cause blindness. The cost of the health test recommended for PRA can vary depending on which lab performs the test, but a breeder could expect to pay around $130 per test. Another serious health issue Labrador retrievers can face is called exercise-induced collapse (EIC). Researchers have only recently pinpointed the gene responsible for this genetically heritable health condition, which has allowed development of a screening test. The cost of this test averages $75 per test. Here you can see that a breeder’s costs for health testing a single parent dog or Labrador puppy could range well into the triple digits just for four basic tests. This is in addition to the other costs a breeder bears for stud fees, whelping, weaning, advertising and veterinary care for each a Lab puppy. Your breeder will also bear the cost of microchipping, worming, vaccinating, and flea treating each pup. One of the biggest surprises in terms of how much is a Labrador puppy is how much it can cost to welcome a new puppy into the family. and a “well puppy” veterinarian checkup. According to one study, the average first year cost of owning a large breed dog such as a Labrador Retriever was just over $2,000. This is costly and requires quite a bit of time commitment too. How Much Is a Labrador Puppy? We hope this article has addressed all your questions about how much is a Labrador puppy. Previous articleWhy Do Labs Love Water So Much More Than Other Dogs? Next articleDo Labrador Retrievers Bark a Lot? We test hips and elbows when age appropriate and also genetically screen for centronuclear myopathy, degenerative myelopathy, exercise-induced collapse, hereditary nasal parakeratosis, Progressive retinal atrophy, Progressive Rod cone degeneration, retinal dysplasia/oculoskeletal dysplasia 1, and skeletal dysplasia 2. We feel the difference in a couple of hundred dollars in the one time purchase price over the 15 to 17 year lifetime of the lab it’s very worth it to buy a Lab Retriever of quality.